Not everyone gets the chance to work with a professional athlete. But practically anyone can work with golfers, bowlers, high school basketball players, gymnasts, swimmers–there’s a nearly endless supply of people wanting to improve their game. And if you’ve noticed, even weekend warriors are willing to spend money on golf clubs, basketball leagues, gym memberships, exercise machines–anything that will improve their performance (or their kid’s performance). That’s the thing about athletes. They measure their performance. The know their PPG, ERA, shooting %, personal best time, yards per carry. If you can’t produce, they’ll know it. It ain’t no, “Since you feel better about yourself, we’ve had a successful session” scenario. It’s “I want to increase my free throw percentage. It’s 82% right now.” It’s specific. It’s measurable and they will measure. And they don’t want to “embrace the universal light of forgiveness” or to “connect to soul awareness to find their spirit guides.” They want to raise their bowling score. So, you’d better help them do exactly that. Well, there’s a raft of techniques you can use. Let me tell you about one of my favorites–The Unconscious Reprocessing Optimal Performance Technique. This technique will work even if you don’t have any other ideas about what to do. It’s also good for any kind of performance enhancement. I’ve used it with a performer in a major symphony orchestra, for instance. In a trance, suggest that they review past performances and tease out what separates the good ones from the ones where they didn’t do so well. Then suggest that they produce the factors that resulted in the good performances. 1) Explain that the unconscious mind may have more knowledge than the conscious mind about what makes a good ____________ (fill in the blank with whatever aspect of their game they want to improve–free throw, for instance). 3) Set up an ideomotor response for yes (I often use a finger twitch). Suggest that the following experiences can take place completely in the unconscious mind, or the conscious can be made aware of any useful information that comes up. 4) Have them review a few times when they had mediocre performances first-person. Have them notice the way they breathed, what they were thinking, how their body felt, what emotions they were feeling (if any) and anything else important about the experience. When they’ve reviewed a few times have them give the ideomotor signal that they’ve completed the review. 5) Suggest they review their top 5 performances first-person–the times when everything went incredibly well and it seemed easy, natural and fluid and notice everything about them. Have them notice the way they breathed, what they were thinking, how their body felt, what emotions they were feeling (if any) and anything else important about the experience. Again, have them give the ideomotor signal that they’ve completed the review. 6) Have them run movies of top/mediocre performances on a split screen, side-by-side dissociated (watching themselves in the movies). Contrast and compare. Notice the differences. Occasionally have them step in to one or the other of the movies so they can compare the first-person experiences. Have them give the ideomotor signal when they’ve found 3 differences that are important in their performance. 7) Now, have them imagine a performance on an imaginary screen, where they do even more of those important differences. For instance if they noticed the feel of the ball right before the shot a free-throw, have them make that feeling more obvious or have them imagine feeling even more subtle sensations. If they notice the hoop looks bigger to them when they shoot free throws well, have them imagine the hoop looks even bigger. Intensify whatever the differences are between good and not so good. 8) If they like that, have them step in to that and experience it first-person. Repeat for all of the differences, adjust where necessary. 9) Now suggest that from now on, whenever the step up to the free throw line (begin their performance), they make the feel the ball, see the hoop etc. in the way that maximizes their performance. Run them through several future, imagined scenarios where they do so and are successful. You can also do this in a simpler format. Simply suggest that when they sleep that night, they unconsciously review past performances and notice the differences between the times when they did well and the times they didn’t do so well. Ask their unconscious to make arrangements that from now on, they do more of the things that result in a good performance. 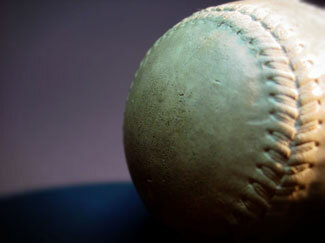 A hypno-buddy of mine, Craig Sigl specializes in working with athletes. Criag is the real deal. Working with athletes is his bread and butter and he’s successful at it. He’s worked with over 1,000 athletes including pro football players, gymnasts, baseball players, golfers–just about any sport. He’s been featured on ESPN sports radio, NBC TV’s Evening Magazine Show and the Seattle Post Intellegencer newspaper. If you want to get really confident and successful working with athletes, I’d suggest you do what Craig does. 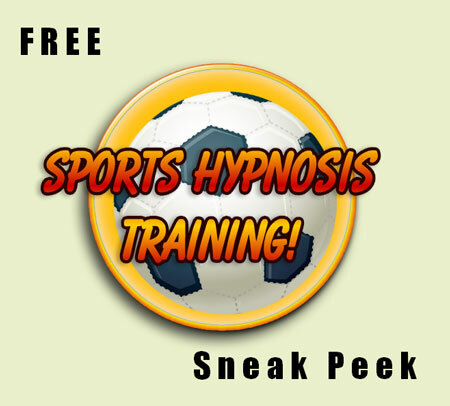 Here’s a free sneak peek at Craig’s sports hypnosis training. Should you post your prices?